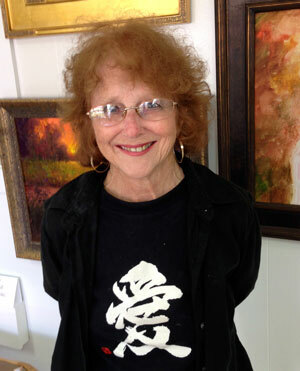 Mary Lou Nicolai will begin a six-week course in Beginning/Intermediate Drawing, January 17 – February 21, 9 AM – 12 PM. Drawing class supply list. The cost is $120. Students will be taught at their own level. This is a fun class that will expand your seeing ability, and give you the tools and skills to communicate visually. Nicolai began taking art lessons at age 11 at the Adelee Wendel School of Art in Indianapolis, Indiana. She later attended the John Herron Art Institute. After working for several years as a registered nurse, she eventually realized that her true passion in life was art. Nicolai went back to college, studied watercolor, drawing and airbrush. She earned her degree in Graphic Design and Illustration. Nicolai moved to California in 1990 and opened the Golden Horse Gallery. To satisfy the demand for art instruction, she expanded the business to include the Golden Horse Art Center where she taught oil, watercolor and drawing. While doing research on a mixed media assemblage series, Nicolai became inspired by Asian art and culture. In 2003, she spent several weeks in Japan doing research as well as sketching, absorbing the culture and attending intensive workshops. Inspired by her travels, she created many artworks using an Asian theme. Nicolai loves teaching art classes and giving workshops. 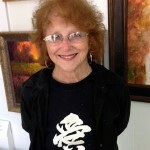 She teaches watercolor and drawing in several locations in Alabama, Florida and Indiana.